Dr. Bittle is an experienced health care executive and is board certified in healthcare management as a Fellow in the American College of Healthcare Executives. His healthcare management experience spans ambulatory services development, physician practice management and integration, hospital operations, and also includes developing managed care infrastructure and systems for the management of health care under global capitation. Dr. Bittle is experienced at developing successful teams and metrics-driven improvements. 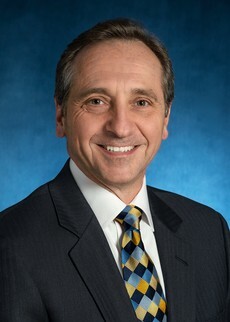 Areas of research interest include change and change management in large health care systems, physician alignment and engagement strategies to improve system performance, patient safety related to the proliferation of electronic health care systems in physician office settings, and the development of community-oriented care delivery systems. Bittle, MJ. A New Vision and Leadership Challenge: Implementing the Affordable Care Act to Improve the Organization and Delivery of Health Care Services. J Public Health Management Practice, 2014 21(1). Bittle MJ, LaMarche S. Engaging the Patient as Observer to Promote Hand Hygiene Compliance in Ambulatory Care. Jt Comm J Qual Patient Saf. 2009 Oct:35(10):519-525. Bittle MJ, Charache P, Wassilchalk DM. Registration-associated patient misidentification in an academic medical center: causes and corrections. Jt Comm J Qual Patient Saf. 2007 Jan;33(1):25-33.